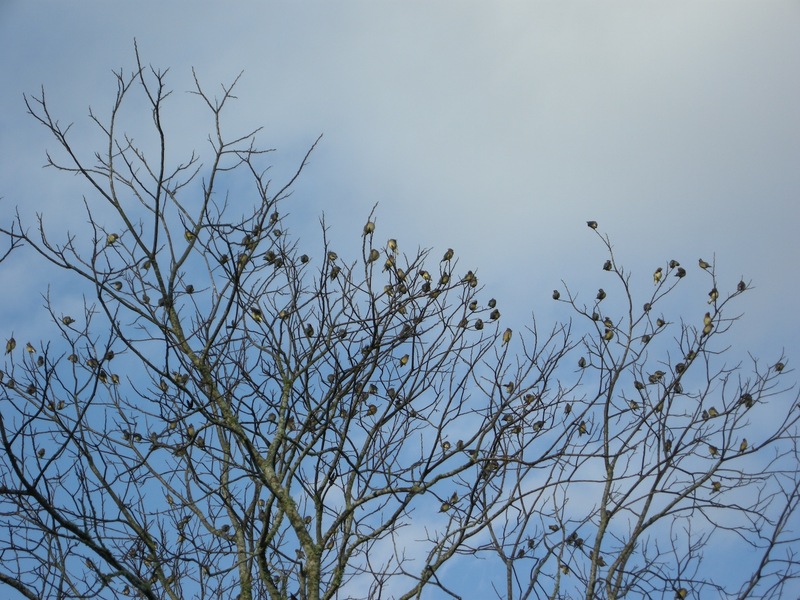 A flock of cedar waxwings visited last week. The winds are blowing from the south one day, the north the next, a phenomenon of late winter-early spring that seems to mirror my city girl vs. country girl identity crisis. One of the things I loved most about our house in the city was the way in late winter, just for a day or two, a flock of cedar waxwings visited. They’re like a party of masqueraders with that band of black across their eyes and those tufts on their heads that make them seem like they’re always racing forward, head into the wind. They loved the cherry laurel near that spot, technically a neighbor’s tree. The neighbors built some kind of pavilion thing back there and the tree died, but the birds came looking for berries anyway for a couple of years. Once, a baby flew into the large windows of my studio and landed in a potted ‘Cecile Brunner’ rose, where it was speared by a small thorny twig. Horrifying. And yet, how else are you going to get so close? It wasn’t dead, but it was stunned, and I picked it up. Birds weigh NOTHING. I pulled the twig out, set it on the ground and left it alone. When I went back to check on it later, it was gone, hopefully recovered and not devoured by something. So imagine my surprise last week, on a cold, clear morning, to hear a familiar peeping as I bundled up on the deck with a cup of tea. Of course it made perfect sense! We have three cherry laurels, two of which tower above the house. The flock swooped back and forth between the cherry laurels and a fine vantage point from the top of our big, bare pecan. Okay, winds of change; life in the country is good. 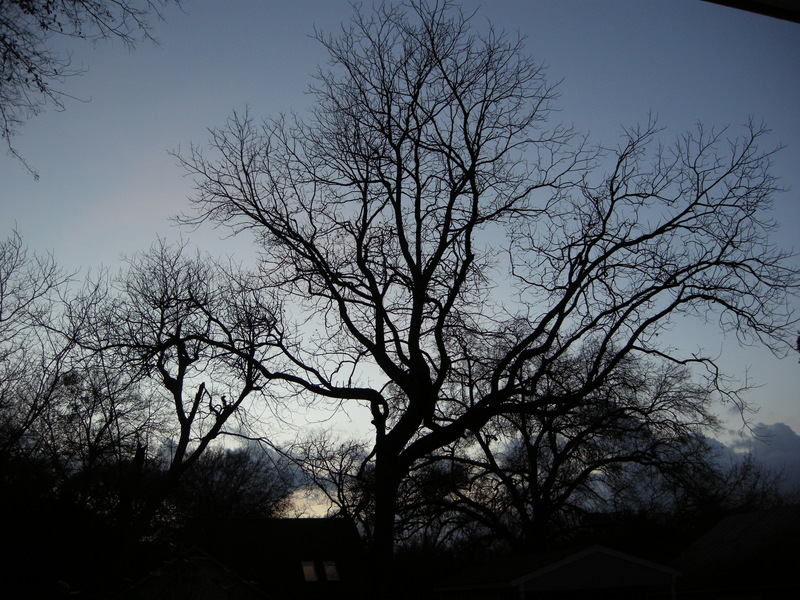 This entry was posted in Little Lessons and tagged cedar waxwings, cherry laurel, city girl, country girl, pecan on March 5, 2013 by Molly Glentzer.